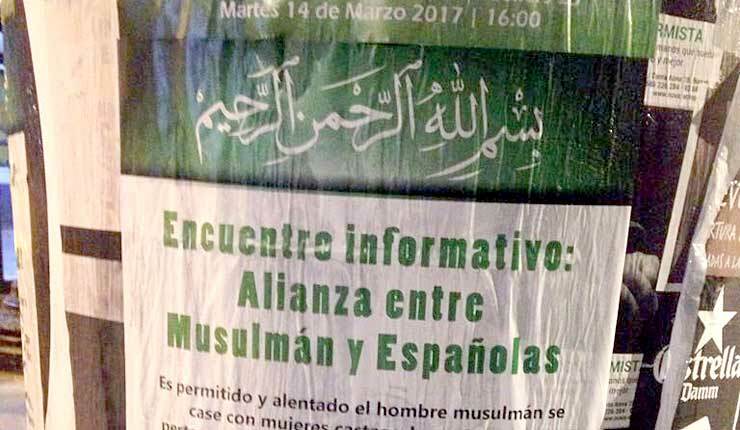 Hundreds of posters displayed in a migrant-dominated part of Barcelona are urging Muslim men to marry Spanish women in a bid to spread Islam, and inviting members of the community to an “information meeting”. 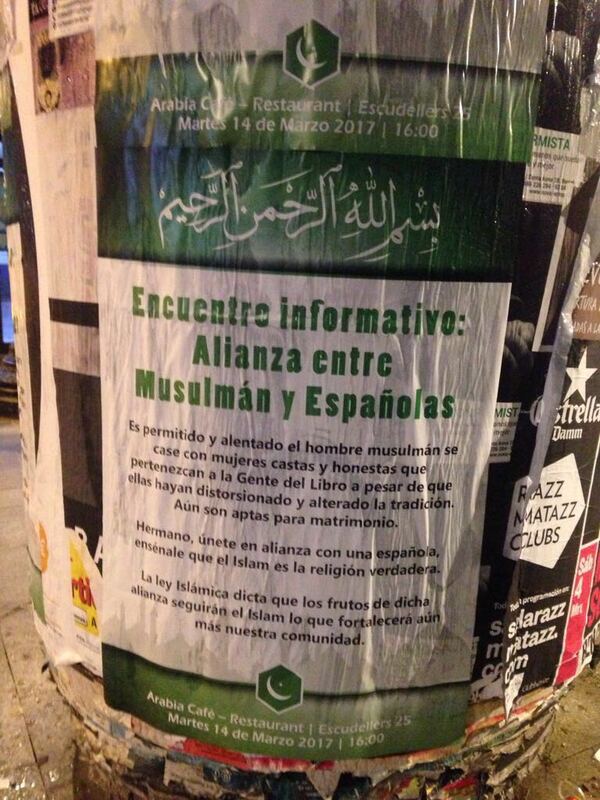 The posters, which are derogatory about Christians but call on ‘Brothers’ to marry women of the religion to “strengthen” Islam, have been plastered through the neighbourhood of El Raval. Official data collected in 2014 found that 56.7 per cent of residents in El Raval were born abroad. 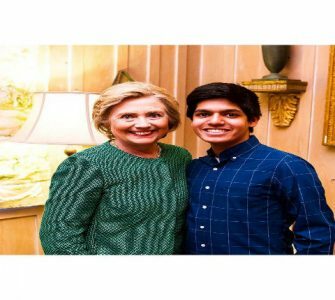 “It is permissible and encouraged that the Muslim man marries honest and chaste women who belong to the People of the Book. Even though they have distorted and altered the tradition, they are still suitable for marriage. “Brother, enter a partnership with a Spaniard, teach her that Islam is the true religion. 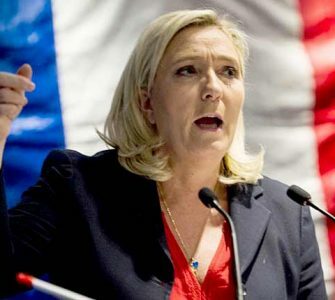 “Islamic law dictates that the fruits of this alliance will follow Islam, which will further strengthen our community,” the main body of text reads. The posters also invite members of the community to an “information meeting” on 14 March at an Arab restaurant in the neighbourhood. Local media reports that El Raval is a key target for Muslim supremacist groups who say followers of Islam have a “right of return” to Spain. One such group, which boasts 40,000 ‘likes’ on Facebook, is ‘Restore sanctity in Al-Andalus’. Posting in both Spanish and Arabic, the group’s name refers to the period of Muslim rule in Spain which followed the land’s violent conquest by Islamic armies. El Raval is recommended in a post which highlights “suitable places” for Muslims migrating to Spain to live, in the “first stage” of recreating Al-Andalus. The Gatestone Institute reported in 2014 that calls from jihadist groups to reconquer Al-Andalus were “becoming more frequent and more strident”. According to the New York City-based think tank, many Muslims believe that all territories Muslims lost during the Christian Reconquista of Spain still rightfully belong to Islam. 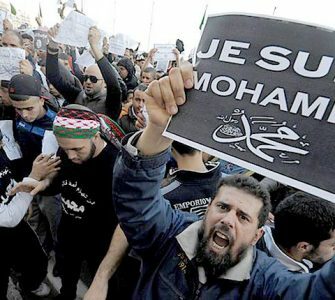 They claim religious law gives Muslims the right to return to the country and reestablish Islamic rule.